CDS Global goes beyond the traditional order management and fulfilment process through the use of powerful tools that help you manage customer information and effectively market and fulfil products. 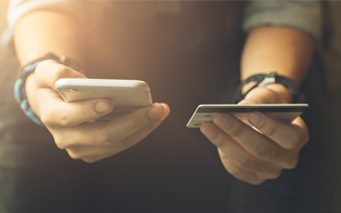 Whether youre looking to handle subscriptions, product bundles or recurring payments for digital orders, our order management solutions enable you to effectively manage customer purchases, increase your customer knowledge and maximise opportunities for expanded customer interactions. Our fulfilment solutions provide a consistent approach across multiple applications, deftly handling subscriptions, digital access, one-shots, renewal campaigns, memberships and account services. With our order management systems, you can acquire new and cultivate existing customers with ease by taking advantage of the nimble subscription models and retention tools available to your customers at the time of acquisition and during their customer lifecycle. By providing a central hub for all customer, product and service information, we simplify the process for you and your customers, ensuring information is effectively managed.